Anthony began performing at the age of four, when a serious addiction to George Formby led to the acquisition of a ukulele, much to the dismay of his family and friends. This began years as a touring variety artist in constant demand, appearing in many shows all over the country. A busy acting career includes playing Dame in Pantomime, to more serious roles such as Teddy Deakin in Arnold Ridley’s ‘The Ghost Train’. On screen appearances, many radio commercials and voice-over work have followed, and continue to do so. 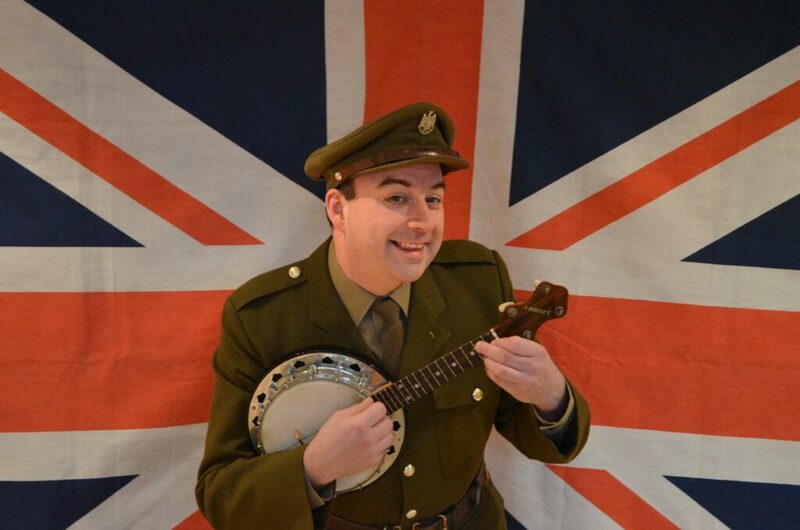 Music features heavily in Anthony’s life, as does his fascination with the 1920’s,30’s and 40’s; his most recent venture, ‘The Sunburst Orchestra,’ shows him reviving the George Formby classics with a full band. We’re sure you will enjoy Anthony’s musical talent and comedy flair along with Pete Lindup as Half Whit-Half Music.